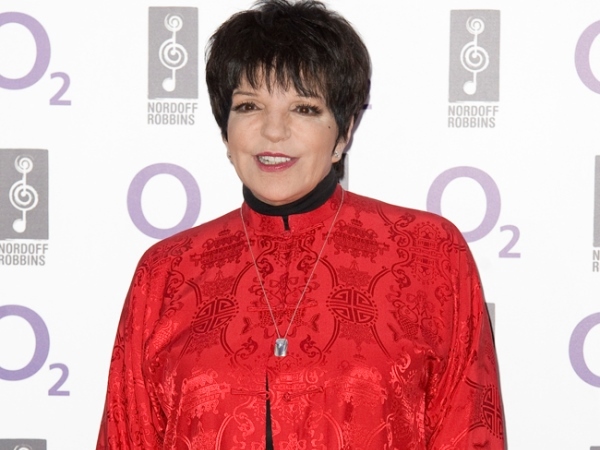 Liza Minnelli dropped out of shooting a throat lozenges advert - now starring Martha Stewart - which aired during the Golden Globes on NBC after making a list of diva demands. Liza Minnelli dropped out of shooting an advert which aired during the Golden Globes, despite being appeased with a host of diva demands. The 67-year-old screen icon was set to film the Pine Brothers Softish Throat Drops commercial, which promotes their throat lozenges, in September last year but cancelled after claiming it was "too much pressure". Her decision to pull out of the project comes after she demanded a rider which reportedly included two cartons of cigarettes, a $400 coffee service, black Egyptian cotton towels, a body scale, a food scale, six cases of Bai antioxidant drink, no Styrofoam plates, a humidifier and full make-up and hair products in the suite which screenwriter Fred Wolf had set up, with the help of a team, at the Waldorf Towers, New York City. A source told the New York Post newspaper: "Producers begged Liza to leave her apartment, which was only a few blocks away, and come to the shoot. She refused, saying this was 'too much pressure.' "
Pine Brothers boss Rider McDowell asked 72-year-old TV personality Martha Stewart to step in and she was there within the hour, ready to get to work. The source added: "Like a real pro. She was done in make-up within 10 minutes, and filmed the ad in 30. She probably earned $1 million in 40 minutes."